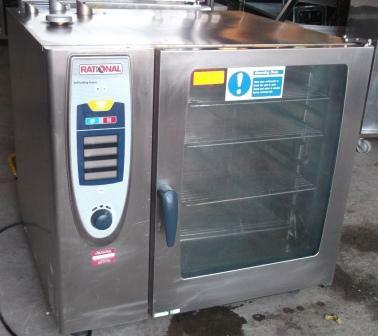 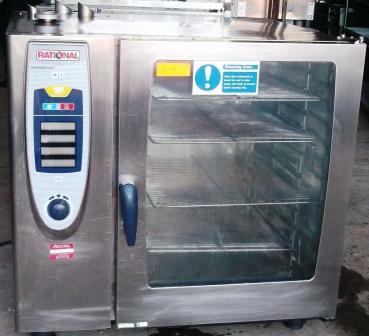 In outstanding condition, this compact Self Cook Centre 10 grid combi oven from Rational is considered one of the best combi ovens on the market. 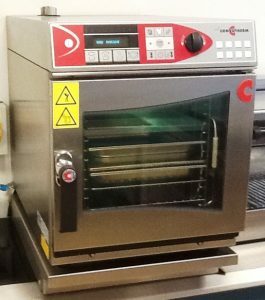 Renowned for their intelligent combi technology, this Rational oven is equipped with an intuitive, simple to use display panel, and can roast, blanch, steam, poach, brown, and finish at the push of a button, producing consistent results every time. 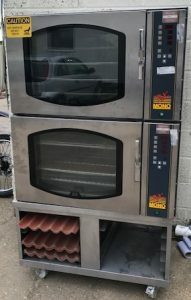 Complete with a floor stand, this appliance will save you time, energy, and space in the kitchen, and is perfect for events catering.